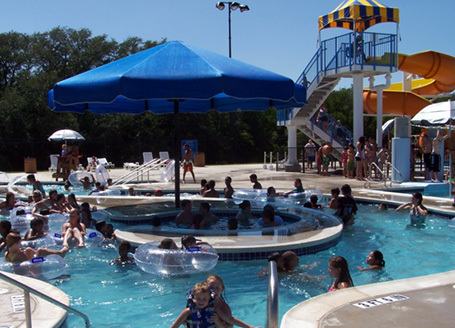 In 2008, the citizens of Brownwood, Texas, voted and approved a referendum to use $6 million in funding through the Brownwood Economic Development Corporation to bring a new sports complex, aquatic center, and senior citizens center to the community. The team of Counsilman-Hunsaker and Kimley-Horn & Associates were retained to provide planning and design for the new aquatic center at Camp Bowie Park. The aquatic complex embodies the community’s needs and objectives by combining leisure areas and fitness swimming spaces. The family waterpark has something for everyone to enjoy.